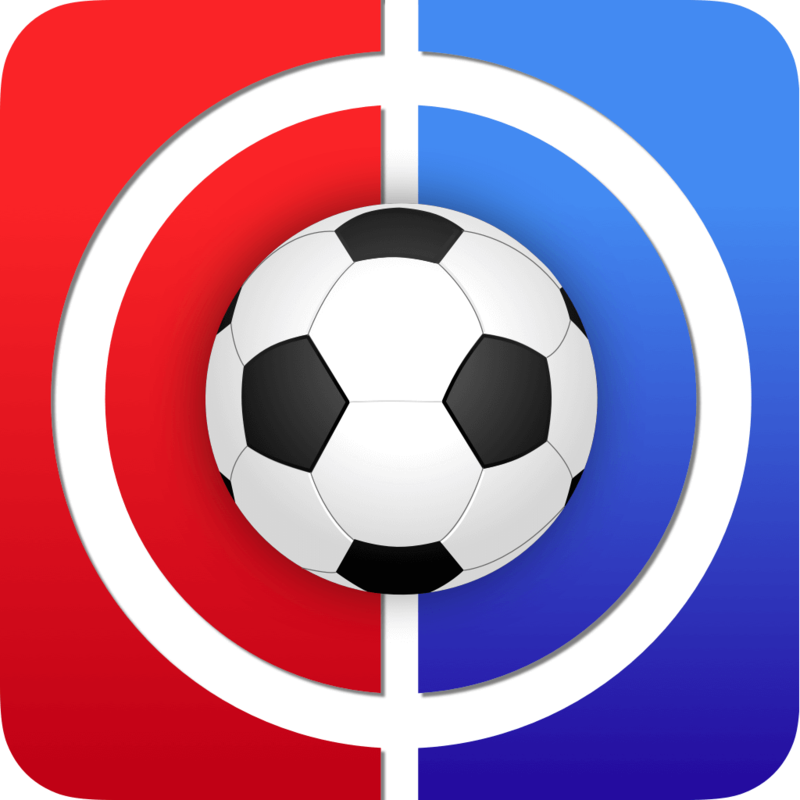 Welcome to Fantasy Football Live Match Chat Gameweek 16. 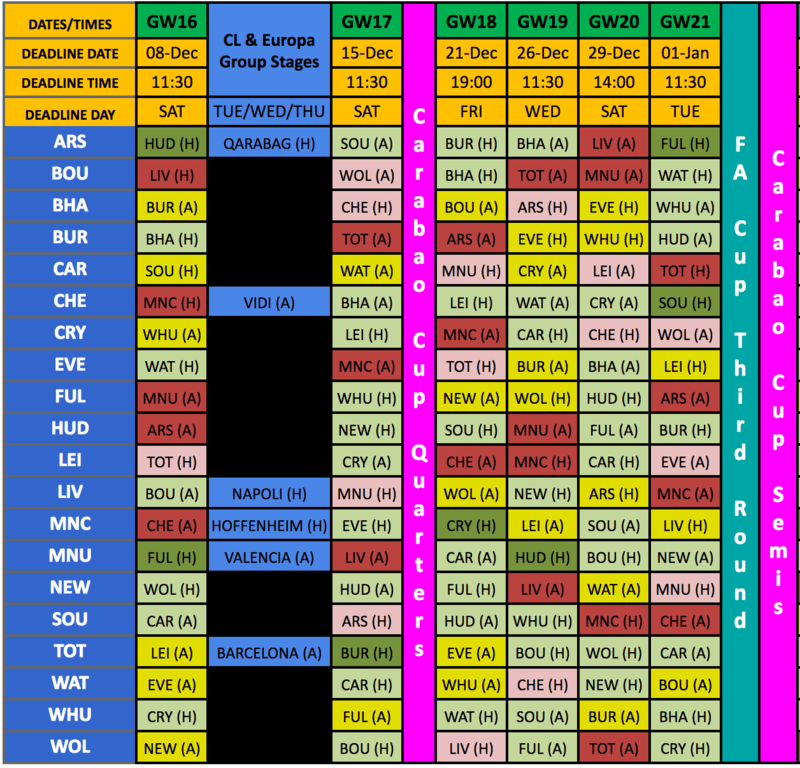 And we go again… We were promised ‘thick and fast’ in the weeks ahead, and it’s already starting to feel that way, as we have our 3rd GW begin within the space of 8 days, ‘get used to it’ is all we can offer by way of comfort. 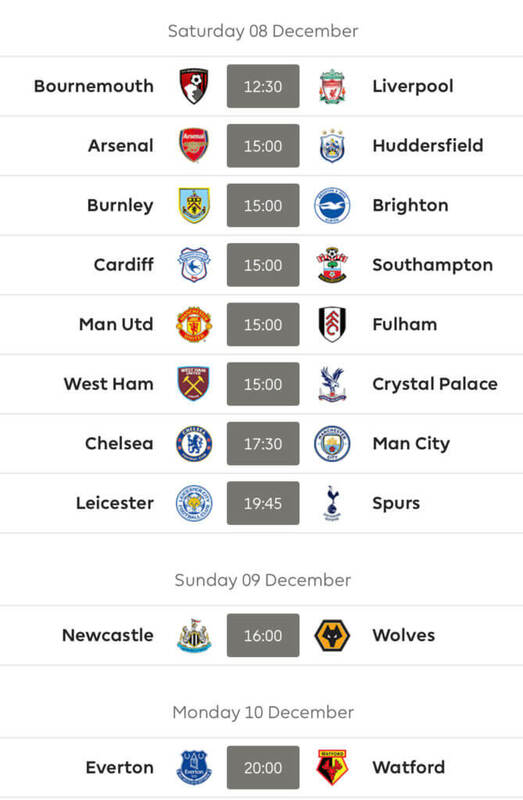 GW16 is a tad Saturday heavy with no less than 8 games. We kick off with Bournemouth hosting Liverpool in the early one prior to five 3pm games. There are then two evening games beginning with a potential cracker as Chelsea welcome the Pep (rotation) machine at 5.30pm before Leicester take on Spurs in a rare Saturday evening treat at 7.45pm. Sunday only has one game as a result, oddly. 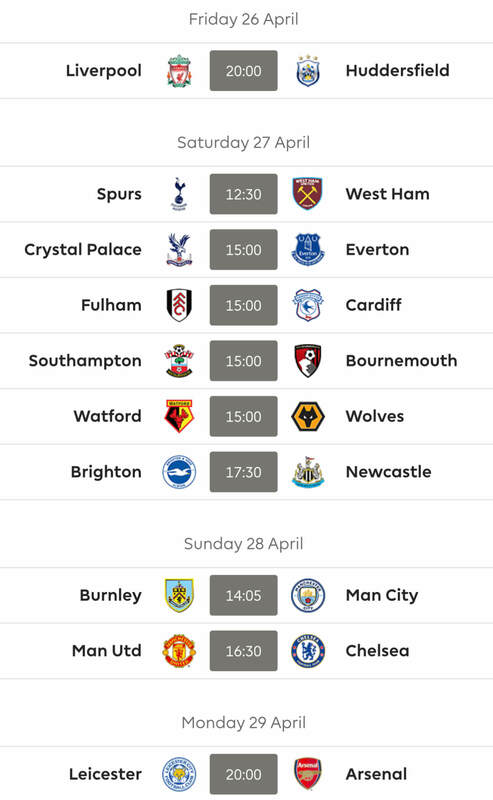 This one sees Newcastle play Wolves before Monday finishes us off with Everton at home to Watford. Good luck to absolutely everyone for Gameweek 16 from all at FF247! Thanks for reading Fantasy Football Live Match Chat Gameweek 16. Digne is in Tips lads. He was before kick off. I know that Salah has just scored a hatty. But, for next few weeks, does Sterling look a much better option? Can do Salah to Sterling or Hazard to Sterling. Which option shall I opt for? Or shall I just ignore Sterling for now. I have both Silva and Sane in my team. David Silva [hamstring] is out for a few weeks. Pep suggested that Agüero might be back for this weekend. Won’t play midweek.